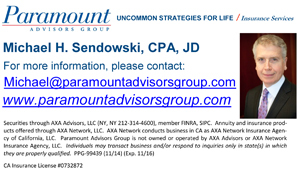 On my last visit to Kalustyans in New York City, I saw this lovely small grained rice in a pastel green color. It is called Bamboo rice and has a mild sweet flavor. 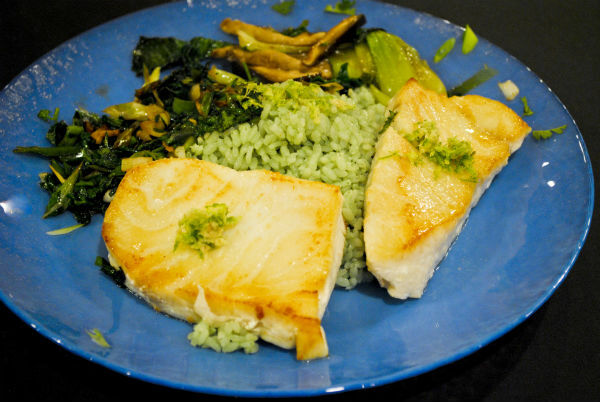 Bamboo rice cooks up light and fluffy with a beautiful sea green color. Lately I have been working on lowering my cholesterol and as such I have many ideas for fish for dinner. The variety and freshness of the fish available in my local markets is astounding although pricey. 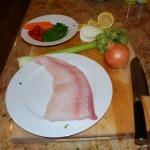 The other day when I purchased the salmon for the Salmon and Pea Tendrils dish I purchased some halibut as well. 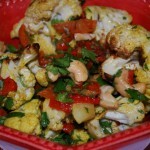 You could make this dish with Chilean sea bass or cod or any firm fleshed mild flavored white colored fish. 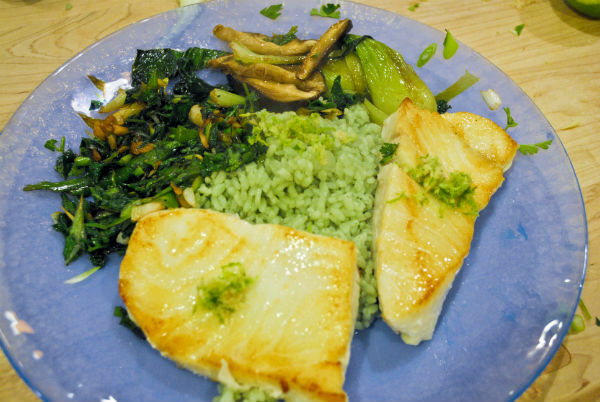 After eating Chinese food on Wednesday I had my inspiration for Seared Halibut with Bamboo Rice and Ginger Cilantro topping. Baby bok choy and shitake mushroom stir fry. Rinse the rice in a strainer. Add the drained rice to a saucepan with the measured water. Cover the rice and bring to a boil. As soon as the rice comes to a boil, turn the heat down to low, and continue to cook for about 15 minutes or until the rice is fluffy and all the liquid is absorbed. In the mean time clean the scallions, slice them thinly on a diagonal, and set aside. Loosely chop the cilantro. Combine the cilantro, scallion, and ginger. Set aside to use after the fish is sautéed. Preheat a skillet, add the safflower oil, and sear the halibut until golden on both sides. 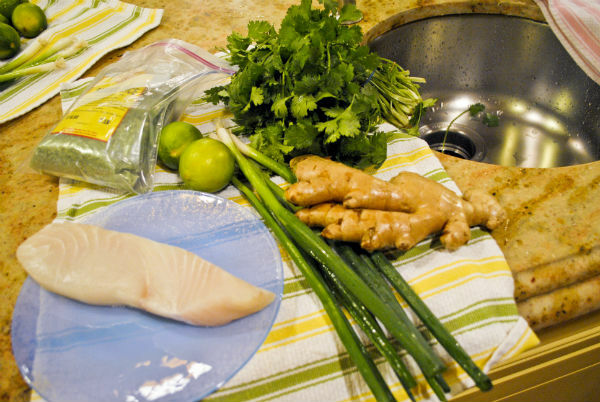 Remove the halibut from the pan and add the scallion, cilantro, and ginger. Turn off the heat and then add the soy sauce and the water. 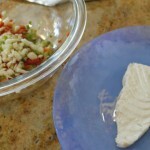 Place a scoop of rice in the center of the plate and place the halibut on one side. 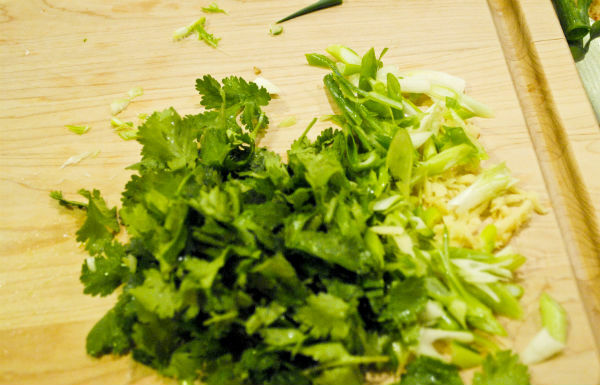 Pour an equal portion of the scallion green onion ginger sauté over the fish. Mix the grated ginger and lime zest together. 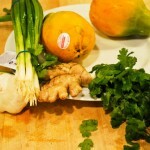 Put a tiny spoonful of this lime ginger mix on top of the rice. Serve with the baby bok choy-shitake stir fry if you wish. What a beautiful plate and so healthy. 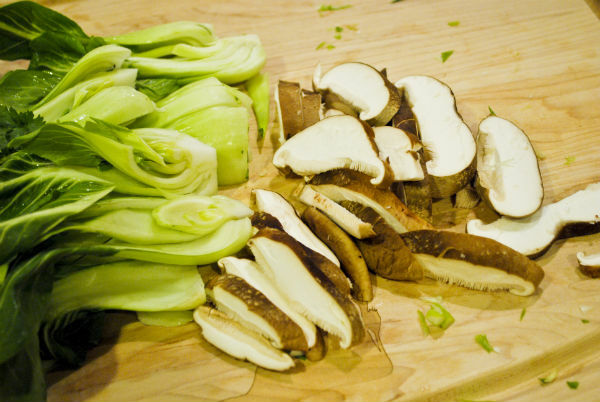 I just started making bok choy in stir fries–love it. 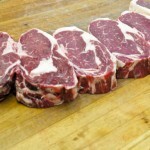 Thanks for sharing–great colors and flavors.